Do you need a pop of colour in your life? Does your creative energy energy need a boost? Do you need inspiration? Or want to talk to like minded creatives? 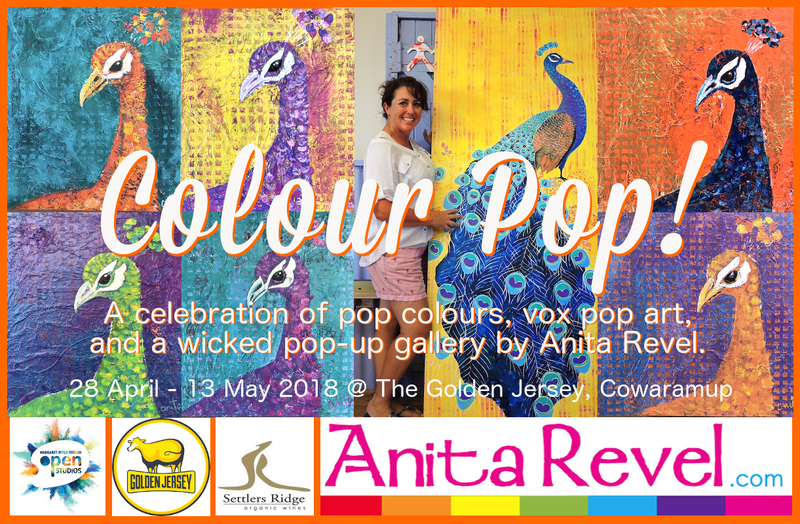 Well the Margaret River Region Open Studios is for you (28 April – 13 May 2018). The artists are generous with their time and their conversation – happy to talk creative process. Today I visited four studios/galleries and talked about the use of leather and gold leaf in Molly Coy’s work, talked about the inspiration a historical, photographic crime journal, provided to artist Deanne Haddow, discussed process, acrylic pours, special ingredients, peacocks and then had a little card reading (Affirmation Goddess Oracle cards) with Anita Revel and if that wasn’t enough art and art talk for one day, I finished the tour with a browse of the Margaret River Gallery – such a great variety of styles, modern and traditional here. 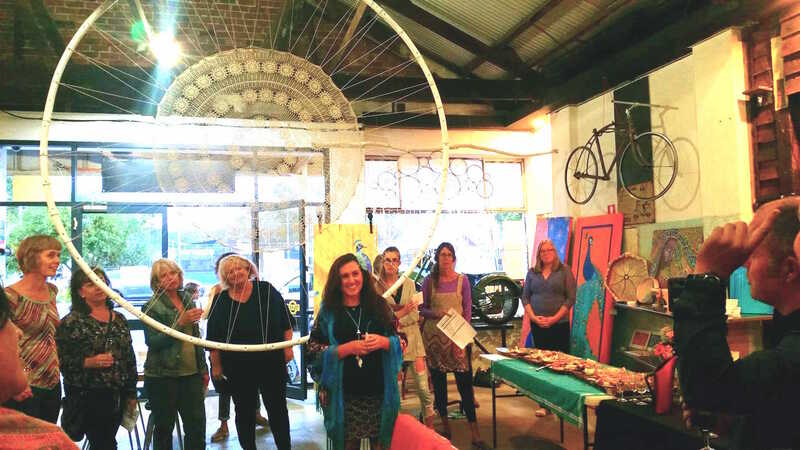 There is something for everyone to enjoy at the Margaret River Region Open Studios – one hundred and thirty artists open their doors to the public – what a great idea! Tomorrow is a new day – and more studios to visit! This entry was posted in art, Fun and tagged acrylic pours, Anita Revel. Molly Coy, Deanne Haddow, Margaret River Gallery, Margaret River Region Open Studios, modern, oils, tarditional. Bookmark the permalink.